Photo: Asa May House, ca. 1840, junction of Routes 19 & 27, Capps, FL. Listed on the National Register of Historic Places in 1972. Photographed by User:Ebyabe (own work), 2007, [cc-by-3.0 (creativecommons.org/licenses/by/3.0)], via Wikimedia Commons, accessed January, 2014. The Jefferson County Courthouse is located at 1 Courthouse Circle, Monticello, FL 32344; phone: 850-342-0218. 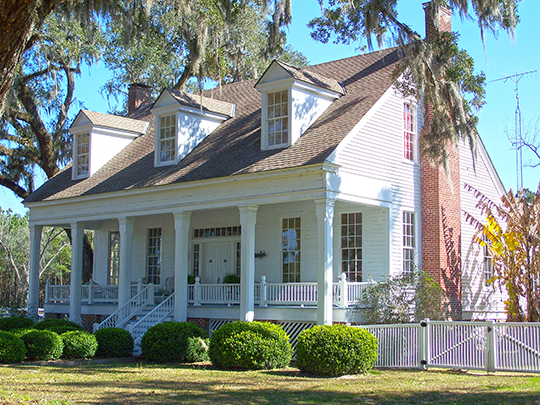 The county was created in 1827 from part of Leon County and named for President Thomas Jefferson. The County Seat, Monticello, was named for Jefferson's Virginia home.